Chennai: Days after the Madras High Court expressed doubt over the circumstances leading to the death of former Tamil Nadu chief minister J. Jayalalithaa, the Apollo Hospital in their argument stated that it will file a response petition in a sealed cover to the court. The hospital in their argument said that it is ready to submit all medical reports and discharge summary in a ‘sealed cover’ to the Madras High Court. With the state government seeking time to submit details, High Court Chief Justice Sanjay Kishan Kaul posted the case for further hearing for February 23. Chief Justice Kaul said that only after seeing the counter filed by the state and central governments, would it will decide the maintainability of other three petitions, as none of the petitions were filed by Jayalalithaa’s blood relatives. Chief Justice Kaul also raised concern as to what is the locus standi of the petitioners, when none of the blood relatives have approached the court, and why had the petitioners filed the case. Earlier on January 6, the Madras High Court had dismissed a Public Interest Litigation (PIL) seeking direction to Centre to announce Bharat Ratna for Jayalalithaa. 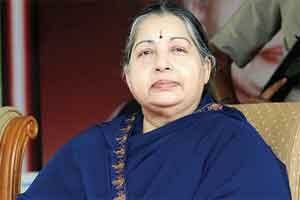 Jayalalithaa was declared dead on December 5 after suffering a cardiac arrest a day earlier. She had been hospitalised at Apollo Hospital on September 22 with fever and dehydration. Medical bulletins issued by the hospital initially stated that the Chief Minister was stable, under treatment and required rest. Daily health bulletin were not issued. Visitors not allowed. Who is hiding what? and why? Jayalalitha had a cardiac arrest and after cardiopulmonary resuscitation was done, was put to extracorporeal circulation [heart lung machine ] . That means that her brain did not suffer from any cerebral anoxia and therefore there was no cerebral death before putting her to extracorporeal circulation . The pt. who has been put to extracorporeal circulation can be maintained for days and wks. and after that if assessment of cardiac out put is poor ,that is below 25 % of LVEF then cardiac transplant can be done . However if there was cerebral anoxia already, then there is no point in putting a person to extracorporeal circulation . There is always a significant time gap between CPPR [REVIVAL of cardiac activity ]to maintain cardiac output and putting a patient to extracorporeal circulation .One has to anaesthetise the patient and then sternotomy can be done after that followed by aortic cannulation and then maintaining extracorporeal circulation . So it is a job of over at least one over to start with the extracorporeal circulation . The people who tried to manage have to explain as to why extracorporeal circulation was started and if started then why the cerebral anoxia or cerebral death .